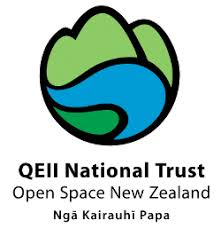 Membership of the Quail Island Ecological Trust is $35 a year for individuals or $60 a year for families. Members receive a newsletter and can volunteer to help the Trust's conservation work - which includes getting your hands dirty on the island (see below) or volunteering your time and skills in other areas. Interested? Download the membership form, to print and post to us, or fill in our Online membership form. The Trust is always looking for people to join them in their conservation efforts - both on and off the island. If you are interested in working on the island or providing services or professional assistance in your area of expertise, please complete the Online Volunteer Form. Maintenance days: 1st and 3rd Sunday of every month. Tree Planting Days: Every Saturday and Sunday for the first four weeks in August. The ferry leaves from the Black Cat wharf in Lyttelton. Park in Lyttelton township and walk over the main over bridge at the bottom of Oxford St. The ferry wharf is on the left - take the steps down from the top of the bridge. The ferry leaves promptly at 9:10am, so please be there by 9am. The ferry returns from Quail Island at 3:30pm. A reasonable level of fitness is required, as the island is steep and we often work away from formed tracks. Please check the weather forecast and dress appropriately. Boots or strong shoes, warm clothes and a waterproof jacket are recommended equipment at any time of the year, and long trousers and tramping gaiters are useful to avoid being scratched by thistles and thorns. Tools are provided, but please bring your own gardening gloves if you have them. Bring your own lunch. The water on the island is the same as Christchurch water, but please bring a water bottle in case we are a long way from a tap. Volunteer trips are generally not suitable for children under the age of 12 years, due to the physical nature of a six hour working day on steep terrain, and the necessary use of weedkillers and poisons. Accompanied children are welcome on some trips, particularly during the planting season, so please contact us for more information. Trips may be cancelled if there is a severe weather forecast, or if the ferry company consider that they are unable to make the journey safely. If the weather is against us, an e mail or text will be circulated before 7am advising of the cancellation, so please check before you leave home. Trips are meant to be social and fun. We normally finish work an hour after lunch, allowing you enough time to enjoy the island at your own pace before the ferry arrives. We look forward to sharing time on the island with you!